The toner arrived on time and in good condition. The print quality remained equal to the OEM cartridges. Good quality, shipped and received quickly. Product works well at this time, has only been used for a couple of dozen copies. I used to buy new cartridges, but your refurbished ones work just as well at a fraction of the cost! I replaced a Xerox cartridge which was defective from the start and cost me a lot more money. This is 1/4 the price and works exactly the same! I found InkTechnologies.com a month ago and I have saved a huge amount of money. I cannot tell a difference between the Remanufactured toner and the expensive toner (just the cost). Don't plan on buying new cartridges again. Love this site. Delivery was extremely fast! Print quality high and I have had good success with the use. First time I ordered product. Great product...lasts a long time. Great value in printer cartridges. 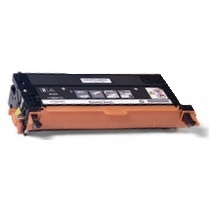 Replacing all the cartridges in the Xerox printer is very costly and having the option to purchase quality remanufactured cartridges is tremendous! I was reluctant to purchase remanufactured toner for my Xerox printer and after using them, would not hesitate to do so again. For the cost of one factory toner cartridge, I can get all four. It is a huge saving. It is amazing to find a $200+ High Capacity Toner for less than $69. Truly amazing! What makes it even better is that this toner lives up to its "OEM" counterpart - even in the colors!